Hi everyone! 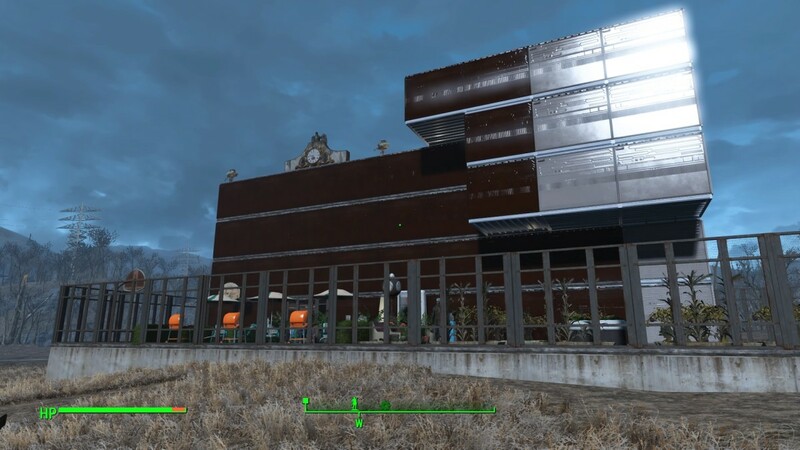 I am determined to try everything in settlement building and posting it here for you to see what is possible in Fallout 4. Fallout 4: Thank You, Bethesda!!! Something new I discovered about getting settlers to move to a settlement includes the Build Limit for a settlement. In other words, if you have a Build Limit in the yellow, you will not get new settlers. So, either use a Build Limit Mod or the Weapon trick to get your Build Limit into the green in order to keep folks moving in on a regular basis. Currently, I am working on a series of articles relating to the weapons of Fallout 4. IN doing so, I have discovered that there is a certain role-playing-game magic-type structure to which weapons work best against the various types of enemies. For example, the Gamma Gun has zero effect on Ghouls but does more damage against humans. By all rights, this is an article to be explored at a later date once I have finished compiling all the weapons to find the very best in the bunch, so to say. Just keep in mind that just because a weapon is more powerful does not mean it is the best weapon by a long shot... no pun intended. Shotguns are very powerful but have a really poor range. Now, exit the vault and hit the surface. Once the animation ends, check out the blue shed to your character’s left. There’s a few good items to grab but it’s also important to know that you have to hit the red button in here in order to activate the elevator allowing you to go back down into the vault as needed. Exit this, note the yellow crates just to your left. Grab the goodies from them and walk past the cones before taking a right. Close-by, you’ll see a faded blue shed of sorts. Head inside and grab the items. 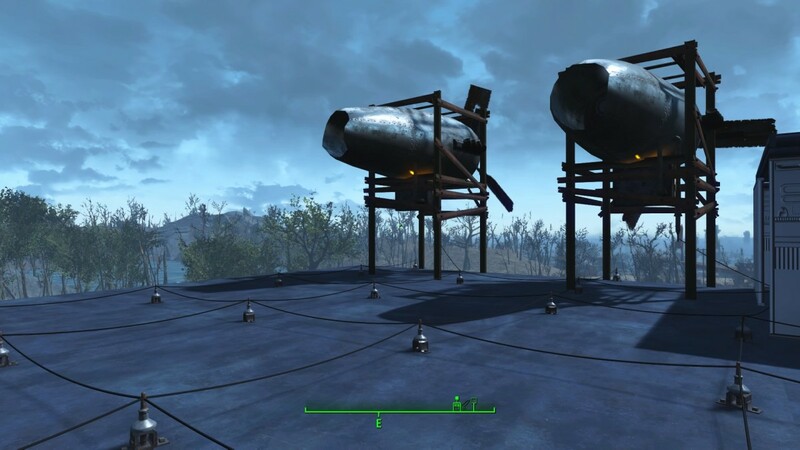 (HINT: You can pick up the barrels and carry them to sanctuary as scrap for steel.) Follow the path and cross the bridge. Resist the urge to explore along the left following the edge of the water. I made that mistake and found out there is a Raider and Mongrol back in that area. I died. Instead, cross the bridge and head, “Home”. As I sit here contemplating exactly the best way to write this guide that is intended to explain every aspect of building a settlement including all the facts and figures, tips, tricks and know-how. Still there are three ways to approach building your settlement in the game. I’ll start with the no cheat-no mod way of prospering and it’s really very simple. First, I want to thank everyone that contributed ideas and information regarding the game and how-to guides on Settlements. I would love to list all of you but this information presented here from every online resource I found, tested and know that these methods actually work. Secondly, thank you folks at Bethesda for making Fallout 4 one of the best games ever. Your hard work and sheer genius is appreciated by us, the fans. You took Fallout 3 and made my one regret about that game and turned it into a dream come true… Settlement Building. Thank you. After a smidgen of story line and exploring the neighborhood as required, go to the house directly across the street from yours and check the workbench in order to activate it. 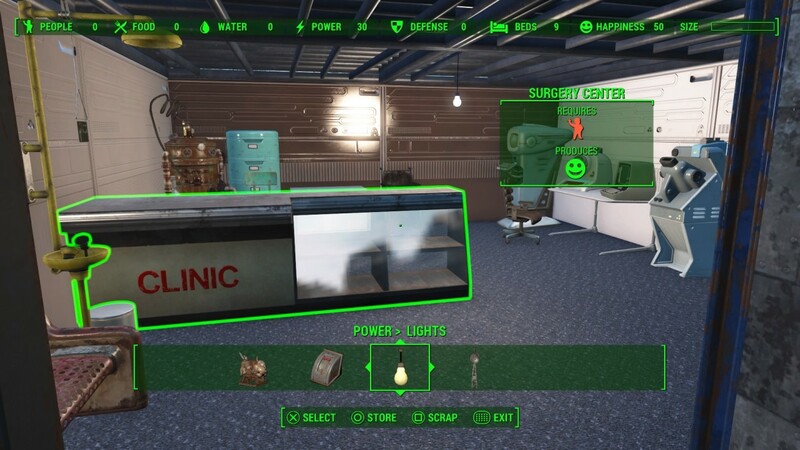 Most settlements have certain requirements before you can use the workbench in those locations but Sanctuary simply requires you get past the story line. This should have been commented on earlier but if you use Mods, Trophies for the game are disabled and rightfully so. Perhaps one day I will focus on obtaining the trophies and write a guide regarding that but for now, I am enjoying taking certain liberties with using Mods that cut back on the time it takes to grind out resources for building. Especially since Sanctuary is one of only a few settlements that can actually produce a viable source of income while most settlements are restricted to farming alone. For now, I am working on a new guide to weapons and weapon upgrades along with armor and Power Armor. Once it is completed, I will post links here and in my Settlers Guide as well. 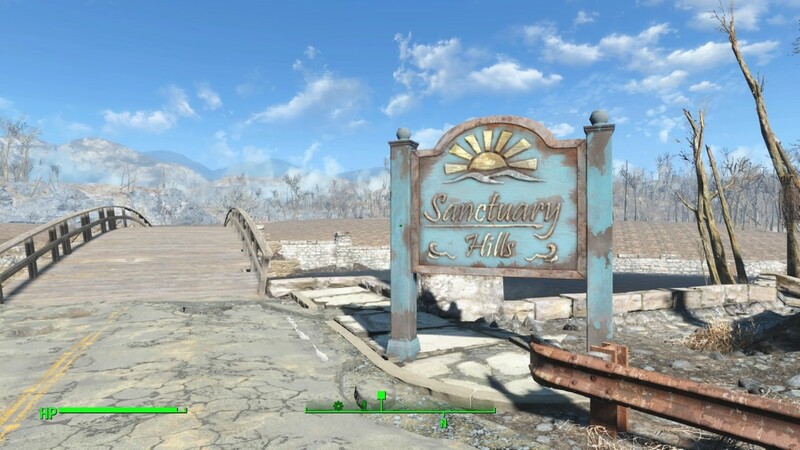 Additionally, I want to update this guide with new tips, tricks and images from my current settlement in Sanctuary. With the assumption that you scrapped everything in the neighborhood, you should now have a decent amount of building supplies. (Please Note: Most items are always there no matter how many times you restart. However, I have noticed that some items can be random. Especially items in containers such as dressers, safes and mirrors.) Moving forward. You are now ready to build your first cash cow also known as, “The Water Purifier”. Start by walking to the main bridge leading into Sanctuary and heading to the left. In Build Mode, look under, Structures>Wood>Floors and place four Shack Foundations in a square. Then, go back to the main menu and find: Power>Generators and build one, Generator – Large. Resist the urge to build more than this, even if you can. Next, look under: Power>Connectors & Switches and build a small, Switched Power Pylon on your platform edge closest to the water. Now, go back to the main, build menu and go to, Resources>Water>Water Purifier-Industrial and place one in the water as close to the bridge as you can get it. If you have the resources on hand, build a second one. Your generator can power two of the large water purifiers. Once you have them built, it’s time to run the wires for the electricity. Running wires doesn’t seem to use any resources that I’ve ever noticed. Highlight your generator and push the indicated button labeled: Attach Wire. Anything that highlights in white, takes power. Look at the Switched Power Connector, (Always make sure that tiny little dot is actually on your desired object which can be annoying at times), but, once you have, click the same button again to attach the wire. Repeat the same process from the connector to the nearest water purifier. (Hint: You can wire multiple Water Purifiers together while running a single line to the necessary switch. This really comes in handy throughout the process of building your first fortress. There have been a lot of questions regarding exactly how often the water regenerates and even more questions about why it’s not. For all those wanting to know, here is what my exhaustive research found and the solutions to those problems. A) There is a Raider living in a shack as mentioned before and believe it or not, he will sneak into town and steal your water. So, as soon as you’ve got some armor and are stronger, take him out and occasionally check the shack for anyone that replaces him. B) The more it rains, the better the water productions. I’ve actually noticed that during a dry spell, the water level drops to the point I’ve walked on a dry river bed. That’s really rare though. C) DO NOT leave water in the workbench or in your inventory. Build an ICE machine near the workbench and always store your water in it. After you get settlers, leave everything in the workbench for them to use. D) DEFENSE! For every point of resource, you build, you need to match that with one point of defense. The higher your defense, the more water you’ll get each time. E) Footnote: Settlers use water. So, don’t freak out when your water numbers drop after settlers start moving in. Still, if you avoid moving forward in the store and stick to building Sanctuary first, that won’t be a problem. Just ignore the prompt to build a Recruitment Beacon. Keeping those tips in mind, Purified Water Bottles appear in the Workbench usually at lunchtime every day so long as you keep your inventory and your workbench empty of water at ALL times. Kill the Raider and watch out for new ones trying to move in and building defenses will help you retain more water each day. Here is why you want the water. Purified water is a valuable resource, especially when coupled with a high Charisma and the Cap Collector Perk. Each time you build a new object, you gain experience. The maxed-out intelligence will cause you to gain levels without even knowing you did while you’re building. In the meantime, you’re stocking up on bottles of water which go for about ten caps, (Money in the game), each. Each Industrial Water Purifier produces 40 Bottles per day minus various known and unknown elements. However, each bottle weighs 0.5 pounds. Hence, if you can carry 280 pounds minus 20 for Charisma boosting clothing, the max amount of water you can fast travel with is 520 bottles. 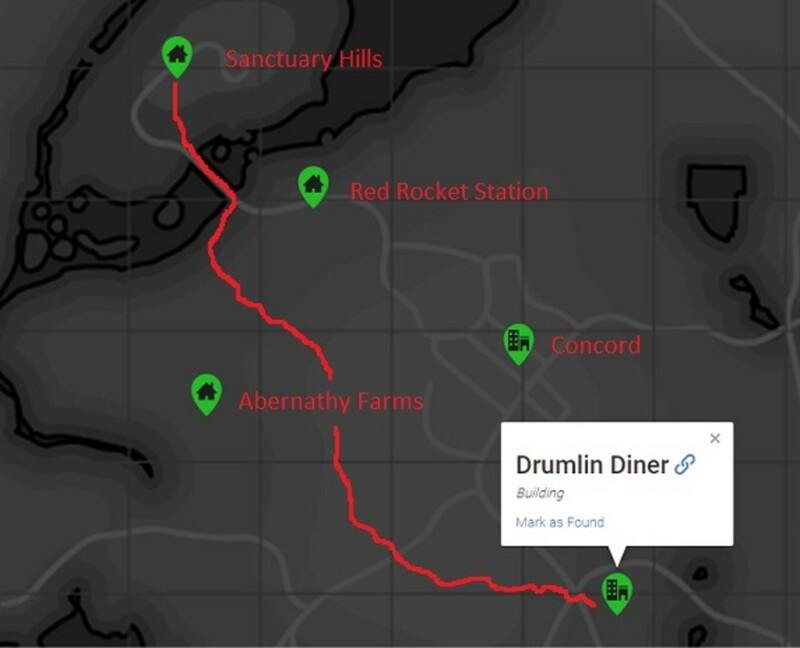 Granted, that’s after getting about 12 to 14 Water Purifiers going but you can work your way up to that using the following place to shop: Dremlin Diner. Definitely try to settle the differences between Trudy and Wolfgang. Doing so will serve two purposes: A, Wolfgang sells, "Chems", which gives you and extra resource for buying Stimpaks and Radaway. Secondly, Having Wolfgang and his partner there will keep random Raiders from attacking you when fast-traveling back and forth. Also, as indicated on the map, Drumlin Diner is on the other side of Concord and even more than the gas station, you want to avoid there for now. Instead, you’ll have to snake your way from Sanctuary to Drumlin in order to avoid setting off storylines or quickly finding yourself with another settlement to have to split your resources on. Then, there’s the nasty creatures that would easily kill your character this early in the game. Just follow the map and you should get there without any major entanglements. Once you get past a brief situation at the diner, you should be able to talk to Trudy and start buying and selling. Avoid weapons, armor, aid and ammo with these three exceptions: Mutfruit, Tato and Corn. Always buy those three. (Hint: Combining 3 Mutfruit, 3 Corn, 3 Tato and Purified Water at a Chemistry Station will produce Adhesive which is used a lot in weapons and armor upgrades). After you grab those, start buying junk. This early on, you won’t be able to afford shipments but you should be able to get most of the junk she’s carrying. Fast Travel home and you should appear under the carport close to the workbench. If you haven’t done so, move everything off the porch to clear some space. (Hint: NEVER drop items to be scrapped, anywhere other than the carport. Items have a bad habit of disappearing anywhere else). Everything is now scrapped, I hope. If so, head back down to the water and build a second generator. It should fit on the same platform. With any luck, you can build at least, one more purifier. Also, you don’t have to build any more Switched Power Pylon. Just wire the generators together and then wire the new Water Purifier to the existing ones. Understanding the power system is just as important as knowing how to set it up at the beginner level. Everything that requires power has a lightning bolt as an indicator. If there is a number present with the bolt, Your generator will have to produce that much. However, if a number is not present, a single three-volt generator would run ever light and TV in the house. (Note: Radios don’t require power to work thanks to their atomic batteries.) So, unless it has a number present, don’t worry about it. Also, Generators don’t require anything once they’re built. However, just like weapon defenses, they will get damaged on occasion. So, check them and your connections periodically to make sure everything stays running smoothly. If you keep adding generators and water purifiers, you can build around thirty purifiers requiring fifteen generators. All of the purifiers can be built using both sides of the main bridge. (Update: Wind Generators produce very little electric but are extremely quiet versus the diesel-powered ones. Use the diesel-powered generators for running your Water Purifiers but stick to the wind Generators for where the people live. Much like the real world, pollution will have a negative impact on Settlers happiness. Clean, quiet and well-resourced is the way to go. You're not just building a place to crash. So, make sure your Settlers have everything they would actually need in real life. When it comes to Fallout 4, Mods has two totally different meanings. 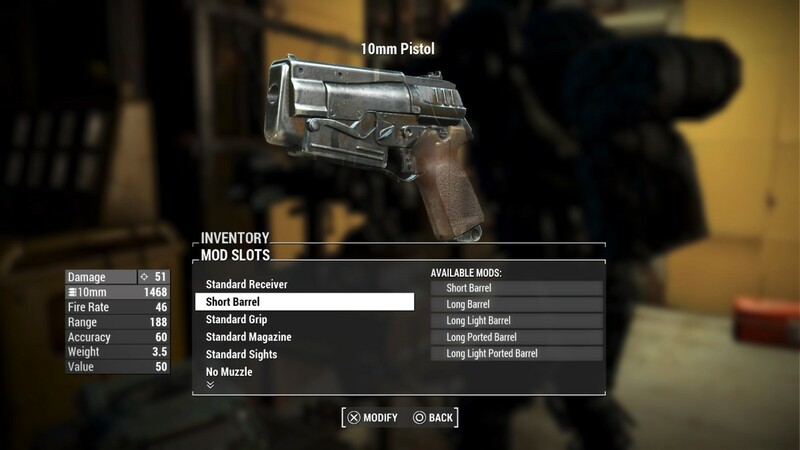 Armor and Weapons Mods and Bethesda’s new update under the game load menu that allows for Mods. Signing up with Bethesda.net is quick and painless and totally worth the mods currently available. 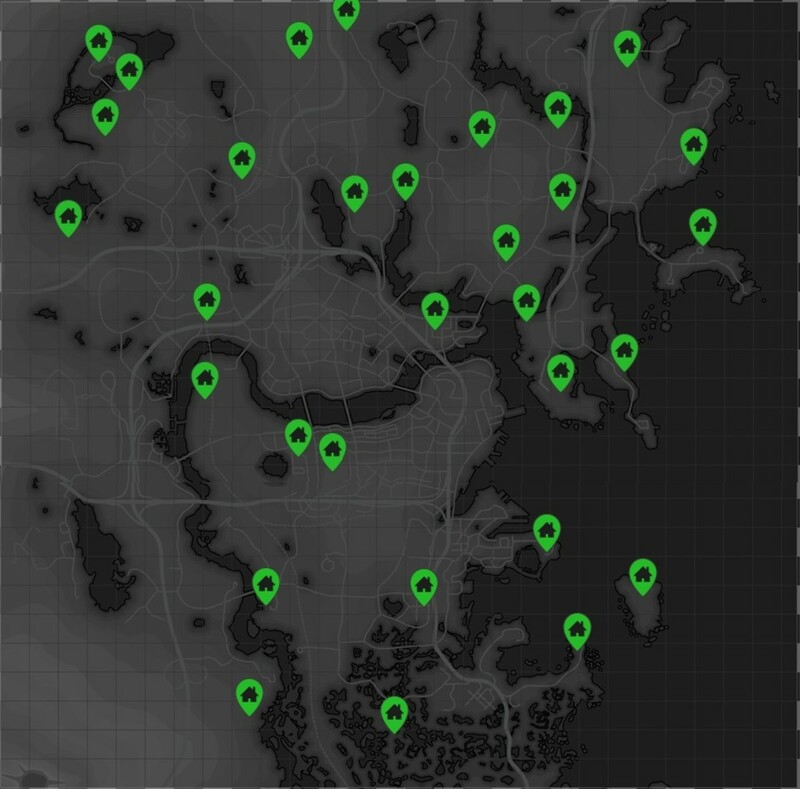 In the, “Base Game”, there are 31 known settlements not counting for expansion pack add-ons. As you can tell… you’ve got a lot of work ahead of you whilst building your Commonwealth Empire. So, maybe using Mods isn’t so much as cheating as it is a time-saving helper. Not to mention, some available mods actually give you brand new settlements to build with really great background stories to enjoy. One of my Favorite Mods is the mod that allows for new items that you can build for your kingdom. You don’t have to take any of the cheat mods unless you want to. However, do check out the mods for new items and structures to build. The person or people that are responsible for the Settlement Object Build Mod, update the mod daily with new and fun stuff to decorate with. From walls to the lighthouse I built near the lake in Sanctuary…it’s fun and so not cheating. So far, I’ve tested almost ever mod available for the Base Game version, I currently have. The Season Pass, which contains all of the DLC for Fallout 4 is already on my Christmas wish list. Each MOD title in bold letters is the exact name of the MOD so you can quickly search for them using the search feature on the main MOD window. However, I only added BASE next to the MODs for two reason: first, I'm not using any DLC and secondly, I'm not sure if all of the MODs are made for anything other than BASE but doing a quick search will show you all of the MODs available for that title. Finally, I found time to put in the latest list of working mods that have shown zero signs of conflicts and a lot of signs of awesomeness! Here is the order of the MODs in working/mandatory order. Thank you VALDACIL for this. 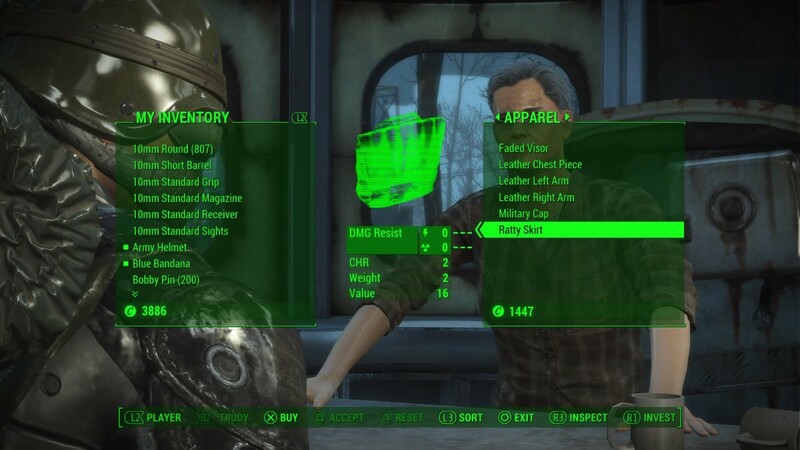 You have to have this mod posted at the very top of your list in order to use any of the Unified Clothing Objects/Unified Settlement Objects (UCO/USO) MODS. Make sure to check that the AWKCR you want to use matches what you have, whether it be be for Base Game (No DLC) to Season Pass and DLC's in between. There are actually four different Simple Seasons to choose from. However, only use one at a time as using multiple ones will cause a conflict in the game's graphics. Unlocked Settlement Objects (USO) is probably my favorite MOD simply because AndrewWCX is constantly adding new objects to build with. A serious thank you goes out to this Modder for the incredible amount of work that has been put into this MOD and that work is highly appreciated. Unified Clothing Overhaul (UCO) is another MOD I really like using. With this MOD, you can make clothing from every occasion ranging from awesome armor to a clean suit to costumes. This is particularly fun when dressing up the settlers while assigning them to certain jobs around the settlement. FreeMaker allows you to make items without Perk requirements or building materials. 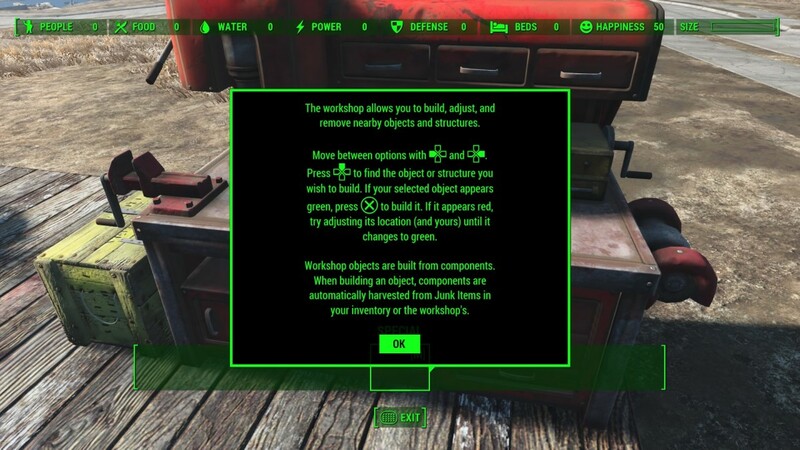 Also, you can make Power Armor Frames among a host of other things at any Chemistry Bench including Bottle Caps. Since there is a few other crafting/building MODs that require Bottle Caps to build with, getting 1000 Bottle Caps at a time comes in real handy. Oh, and ammo is produced 100 rounds at a time. This MOD is useful in a few major ways. First, you can build Workbenches and Cooking stations without any special requirements. Secondly, you can now add Ballistic Weave to just about any armor or clothing. Lastly, you can now craft any paint job on your Power Armors that add extra bonuses well worth noting. 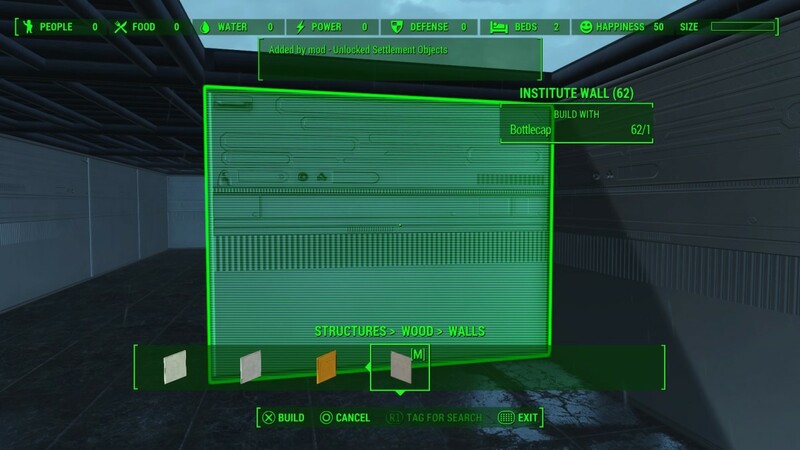 This is a really useful MOD for getting rid of just about anything in settlements that an Un-Modded game stiffs you with such as Molerat Holes at Red Rocket. 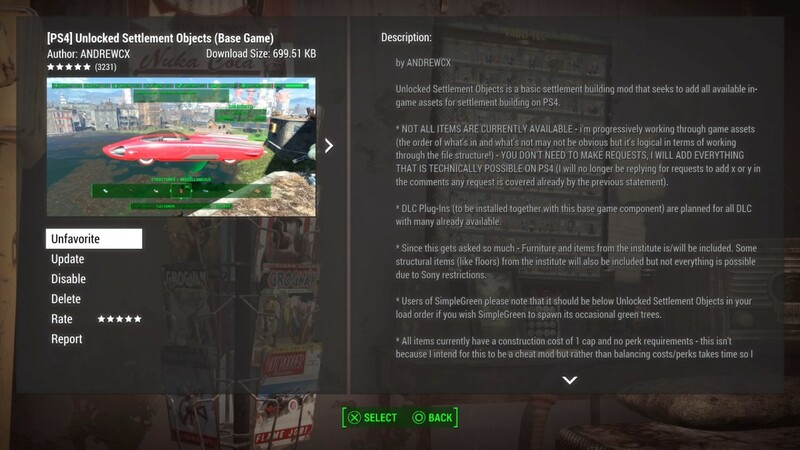 (WARNING) This MOD will allow you to scrap buildings like the Red Rocket Station so be very careful and pay attention to what is highlighted before you scrap something. This MOD adds five new generators to the game. Although the generators are much more powerful than the normal ones, they are a bit trickier to wire-in since they require being wired in from the bottom. If you want to use these, I recommend building a support structure with a hole in the center to place these on. This way, you can run a wire down to a connector. It's a bit tricky to set up but tinker around and you'll get it done. The Mega Fusion Reactor is my favorite. Not because of the 150 Volts it produces but because it's just cool looking. 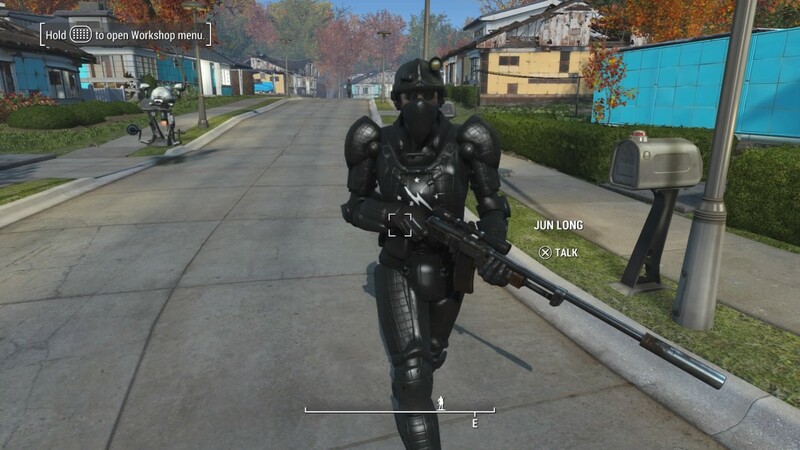 This MOD allows you to add Legendary Effects to your weapons, armor and Power Armor. This MOD does not require any special perks and you can use any Legendary Effect in the game without a lot of hoop jumping. Simply go to the workbench you want to use such as Weapons Workbench and before you know it, you will have stars next to your favorite weapons in no time. This MOD turns down the volume on generators, turrets, hammering and water purifiers. This is a great thing as all of that can be really annoyingly loud. I know that the sounds from the generators and such can have a negative impact on Settler happiness but there is not real way to test if this has an effect on that. So, still try to keep the noise down for the settlers or use a Happy Maker 9000. The Happy Maker 9000 grants 100% happiness to a settlement. It almost works instantly in Sanctuary once you get your first settler. If not, try turning the Happy Maker 9000 off and back on. That usually does the trick. However, in all the other settlements, you will have to wait for the Happy Meter to hit 100 percent over in-game time. The Cheat Container lives up to its name. 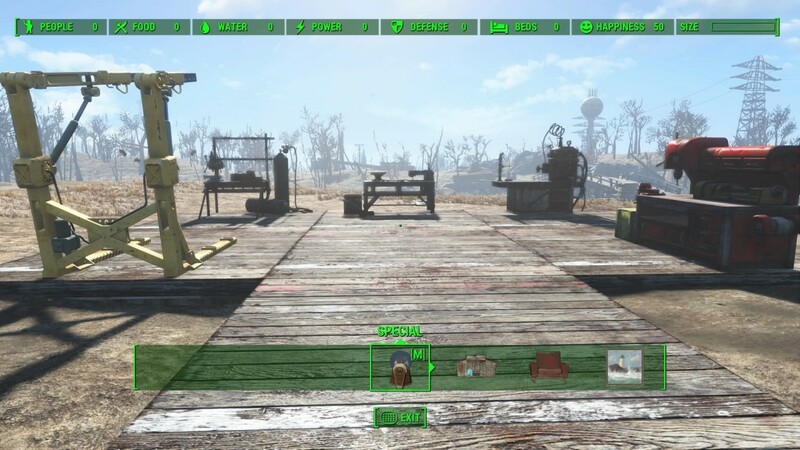 At every settlement, next to the Workbench used for building, you will find a red toolbox filled with 60,000 units of every building supply needed for any purpose. The only downside to this MOD is that you cannot scrap or move the toolbox. However, by simply deactivating the MOD, the box will disappear but if you want more than 60,000, simply turn the MOD back on for another set of 60,000 units of each supply. Bear this in mind if for some odd reason you might end up needing to refresh the supplies. 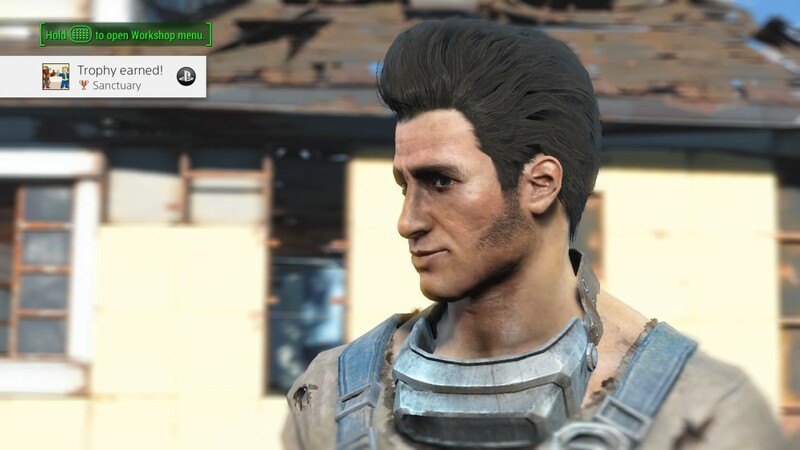 This MOD is pretty straight forward but here's my recommendation... before you leave Vault 111 to head to the surface at the beginning of the game, use this perk to give yourself 10 SPECIAL points per category: Strength, Charisma and so forth. After you've maxed out this portion of the SPECIAL Perk list, you can hit the surface, save and turn this MOD off. You only need it at the beginning and according to the MOD Maker, this is best used at such time. This MOD makes a chest with every PERK magazine in it, right outside Vault 111 and ready for the taking. Normally, you can hit square twice on the PS4 to take everything to speed up the process of filling in your PERK chart completely. However, the Idiot Savant Perk pops up a lot during building and can become really annoying after a while with that hideous laugh. So, you have two choice: A, mute while building or B, take the magazine one by one to avoid this PERK. It's up to you. You can turn this MOD off after you have used it and saved. 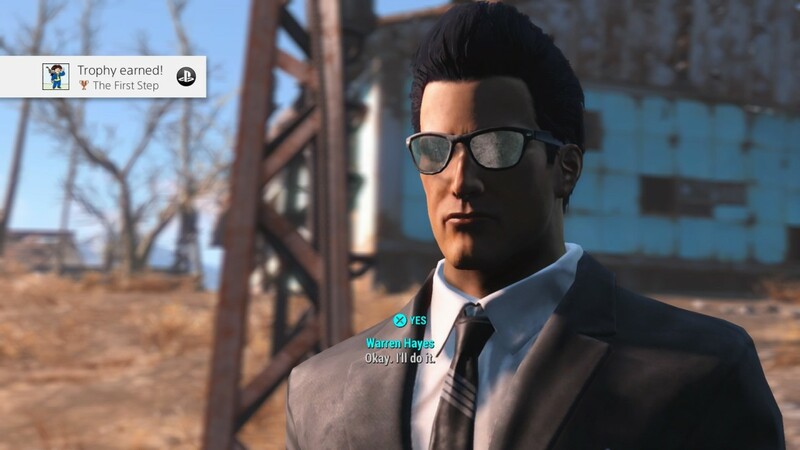 Bethesda made hacking and picking super difficult versus Fallout 3. So, this MOD is necessary for those that simply can't get past lock-picking that is super sensitive even for some of the EASY locks. Even hacking terminals can be a game-resetting challenge for most of us when the computer you're trying to hack isn't even advanced in nature. I like this MOD... it takes out these problems and keeps you more focused on the enemies and less on which scratch of rust on the lock was the last spot you tried. 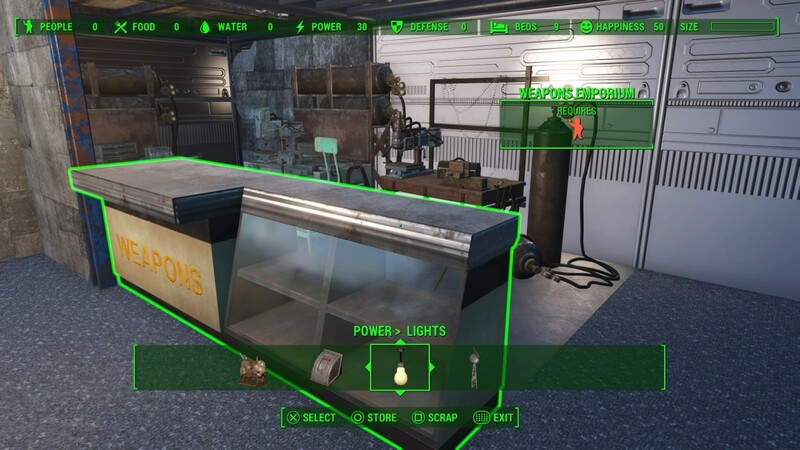 Simply put, this adds generators that look like power generators but actually give your settlements food. Here's the funny thing about using these; at one point, my settlers started complaining about the lack of variance in their diet. Still, this is an awesome MOD when you need to focus on guards versus farmers. I found this MOD to be very useful for dealing with a headache I ran into even without using MODs. When you are trying to turn Sanctuary into a Purified Water producing machine, you will quickly find yourself trying to match defense to cover the output of bottled water as required by the game. This MOD fixes that issue by providing more powerful turrets which requires having to build less than what would normally be needed. None of the turrets are over-powered in outrageous ways but they are a bit more powerful which cuts back on how many you will need. Remember: you have to match one point of defense to one point of resource. So, you still have to cover food as well as water. Not to mention, this Modder has come up with some really cool turrets you won't find in the base game. I love this MOD. Being able to move the workbench out of the way is really handy and it does not have any negative impact on the game. However, do not store or scrap the workbench. Simply pick it up by selecting it and putting it where you want it to go. 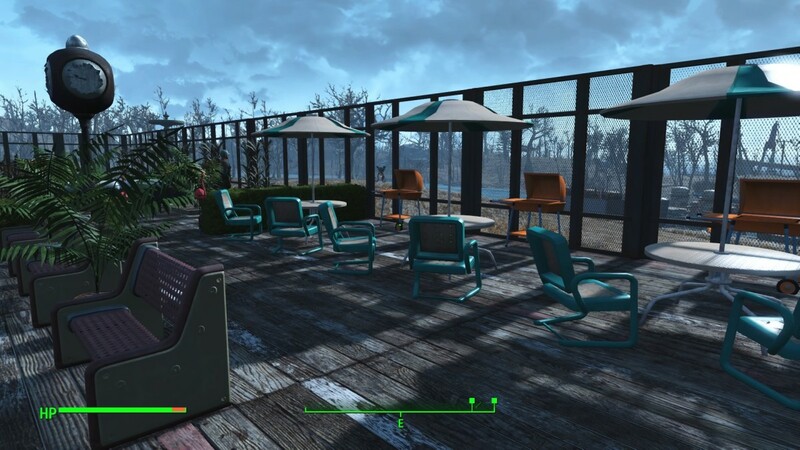 This MOD removes radiation storms and other nasty weather from the Commonwealth. Since Sanctuary is about the only settlement with a basement to take shelter in, this MOD comes in real handy when you're trying to build. Like any MOD, you can always disable it to bring back the normally occurring weather in the game but that is entirely up to you. This is a really great MOD for enhancing the graphics of the water in the game giving them a much more realistic look and reaction to depth, light and so forth. This is especially noticeable when you are swimming under water using your Pip-Boy light. Although there are a lot of MODs for electrical, this is the only Water MOD that gives out 500 bottles per Purifier. 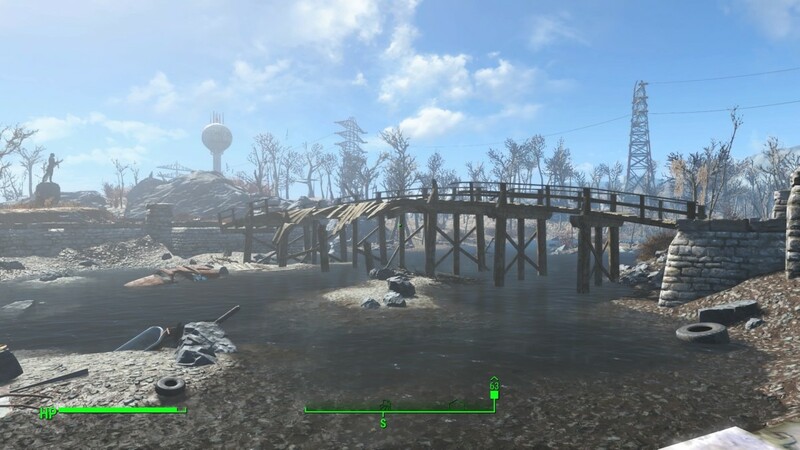 Using this MOD greatly cuts back on how many Water Purifiers you have to build in Sanctuary leaving the area looking better since the settler's view is of the river. I grabbed this MOD simply because it does what other MODs only promise. Building a Deluxe Power Pylon next to a Deluxe Generator will power an entire settlement. Build the Deluxe Pylon next to a 500 Volt Generator from the previous MOD and running wires becomes a thing of the past unless you want to use powered Turrets hooked up the a controller station. Still, you can build a 500 Volt generator close to those turrets to avoid having power pylons strung out all over your settlements. The main reason I grabbed this MOD was for the Lighthouse you can build using the USO MOD. I wanted to see if I could actually get the lighthouse to work but I couldn't build past the third platform in the stairwell. After using this MOD, I was able to do so. However, the lights are not really bright at night but I did learn why there's a build height to begin with. Most Turrets have a set range of detection and placing any weapons turrets on top of the lighthouse are useless. Still, when you need that one extra floor, this is a great MOD to have. This MOD literally puts walls around your settlements with one way in or out. This does eliminate surprise attacks on your settlements but it has two drawbacks. First, it does not increase your defense rating and secondly, it only covers about half the settlements in the game although I am sure more updates with new settlements will be added in time. Also, you have to get a separate Walled Settlement MOD for Sanctuary. I really like this MOD for certain settlements but not for others. So I'm really glad OKIE1682 did these MODs individually for each settlement. 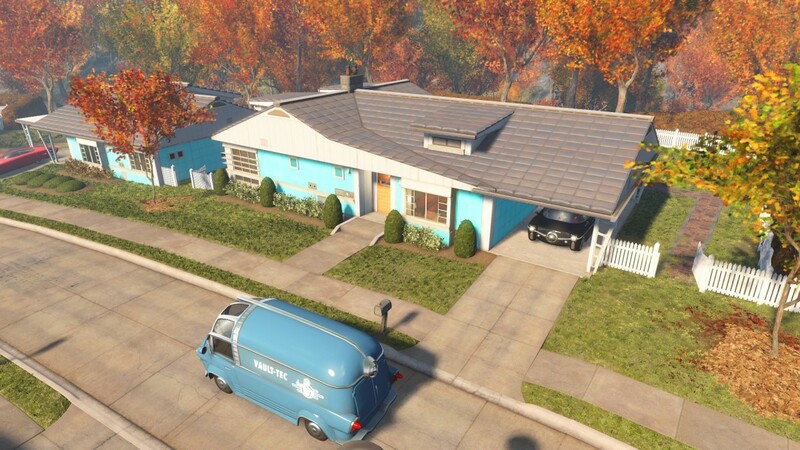 The reason being is simple; in Sanctuary, it works great but in Tenpines Bluff, it does not. Quite often, you will find pre-settled settlement settlers still trying to harvest where the garden used to be which can really be annoying. I did figure a way around this problem though. Before using the Clean & Smooth MOD for a settlement, simply go into build mode and store everything that is planted. Then, enable the MOD and that seems to fix this issue. Although this MOD affects the power radius of electricity I do not use it for that reason Instead, I use it simply because it removes the Build Limit in the game. It is true that you should be careful about over-building for two reasons. The main reason you do not want to build huge complex would simply make it ten times harder to find new settlers when you need to assign them to shops/caravans/guards or farming. That is a real pain! The other reason is that I have noticed that when I built really big places, I ended up with a lot less settlers. The trick is finding the right balance between what you build and how many settlers you want in that settlement. 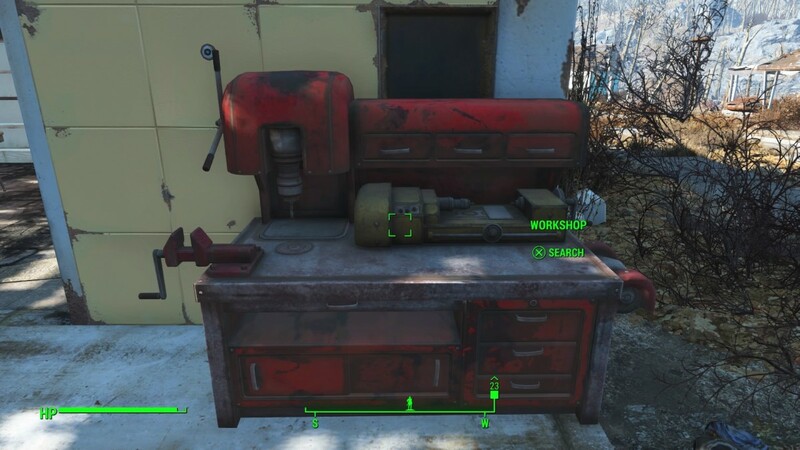 (Update) After leaving the vault and heading into Sanctuary Hills, visit the workbench BEFORE you talk to Codsworth to activate it. I’ve noticed a glitch that won’t let you use the workbench if you talk to him first. Modder’s Note: Make sure you install “AWKCR: Armor and Weapon Keywords Community Resource”. With this MOD, you can add Ballistic Weave to any item of clothing including hats, glasses and your ratty Blue Suit which makes everything you can wear, usable armor. The only real cheat mods is FreeMaker/FreeCrafter. The Rest of the MODs unlock stuff to build and make. (Disclaimer: Be careful when using mods as some Mods will cause game crashes until removed. The list I provided here works just fine so far and you really shouldn’t need anything past this for Sanctuary. There are other Clean & Smooth mods for other settlements but the other mods I’ve listed, work throughout the Commonwealth. Fact is, you can access FreeMaker at any Chemistry Station you find, settlement or not! At some point, you’re going to see your size meter fill up and that doesn’t take long in Sanctuary where it starts out ¾ anyway. So, to get around this problem, you’re going to need anywhere from twelve to twenty weapons. (Hint: Power Conduits Radius Increase MOD removes the Size Limit from settlements except for the ones you have already been to. However, starting a new game fixes that). Get close to the workbench under the carport and drop the weapons you’re using for this. (Note: using twelve to twenty of the same weapon will not work. So mix it up some.) 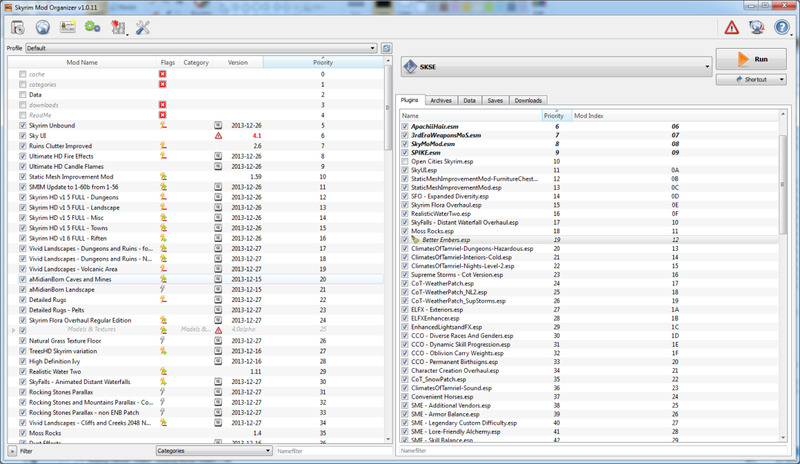 Now, switch to build mode and STORE all of the weapons in your workbench. Then, remove those exact same weapons, drop and repeat. Gradually, the size meter will start to shrink. Just keep repeating these steps and you’ll grind it down in about thirty minutes to an hour. Yeah, it’s tedious but having the game stop you in the middle of building your new bedroom palace is really annoying. FAIR WARNING: It is often said, they put the size limit in the game for a reason. Without getting technical, the more you build, the more the game pulls on your graphics card. With that said, I set out to test the limits of the trick for cutting back the size meter. After using the weapons trick to empty out the meter, filling it back up by building, then I emptied it out again and started building again. The game is only getting a little twitchy but part of that problem is a few of the models from the Object mod have a few bugs but 90% of the decorations from the mod work awesome. Granted, I have 2 five-story complexes, (one is 7 x 10 and the other is 5 x 10 with an attached Power Room big enough for twenty Large Generators plus the decor I’ve added so far. What’s working for me is simplicity. I’m avoiding clutter in my Settler Apartments and sticking to simple and neat. Remember, your graphics card isn’t displaying everything in Sanctuary…only what your character is looking at. So, keep it simple and above all else, have fun. Update: Keep your settlement building small and easy to navigate. The problem with building a really huge structure is finding your settlers to assign them jobs. I spent an hour trying to find one settler that wasn’t already busy, to run my new store. So, ultimately, a huge settlement is awesome and fun but extremely difficult for finding the settler you need. Fallout 4: "Measure Twice, Cut Once". If you plan on building catwalks from one side of the road to another, start with laying foundation across the road to keep the everything aligned. You can always remove the foundation once you know the buildings will line up perfectly. Also, use secret walls to keep settlers out of your private space and also to keep them from dangerous area such as the roof. Settlers will fall to the death and the Balcony Railing does not adhere to roofs making it very difficult to line it off with the railing. Secret entrances are always fun in a castle, anyway. Since the game lacks inside doorways for some odd reason, using the metal doorways is the only option. The best way to place said doorway is by removing the square foundation piece, apply your walls to either side of where the doorway will be and then, add the doorway. Also, floors and roofs can be added to the top of a frame without causing an issue on the floor above the doorway. One more neat trick: If you line up the carpeted floor just right, you can actually lay carpet in the doorway. I will add a section to this guide with more details regarding, Doorway Tricks. A) It’s best to survey the area long before you start building. Whether you used the Clean & Smooth mod or not, stick to the saying, “Measure twice, cut once”. Even under Clean and Smooth, the land is anything but perfectly flat. D) My girl figured this out just watching me play the game. So, Kudos to Sammi for this tip. Use the hanging lights during construction. Out of all the available lights, the hanging lights provide the best lighting which, really helps when working in large areas of your estate. Ceiling fans and Industrial lights are dull. F) I accidentally discovered this trick. Originally, I enjoyed using metal walls for added protection not that it actually matters to the game. However, I liked using the wood walls on the inside. What I did not know is that the wood walls will actually snap in place on the inside of the metal walls for a better looking home. This actually works for almost all wall types. Once you have your, Kingdom of Sanctuary built, it’s time to take on an even bigger challenge… the people. Settlers can be very useful or a pain, depending on the situation. For example, Settlers like to sleep in your bed. Annoying. It’s all gravy. I simply wake them up, enter build mode and send them off on some stupid task so my Character can crash. Stay out signs seem useless at this point. Settlers provide four very valuable services when used correctly. They tend the gardens when assigned to plants. They can also be assigned to provide security and protection for the settlement. Also, you can pick a settler and assign them to run back and forth between settlements allowing you to have your supplies shared among the settlements. Last but so not least, settlers can be assigned to run your shops or provide health care for the community. Let’s take a much closer look at each job. 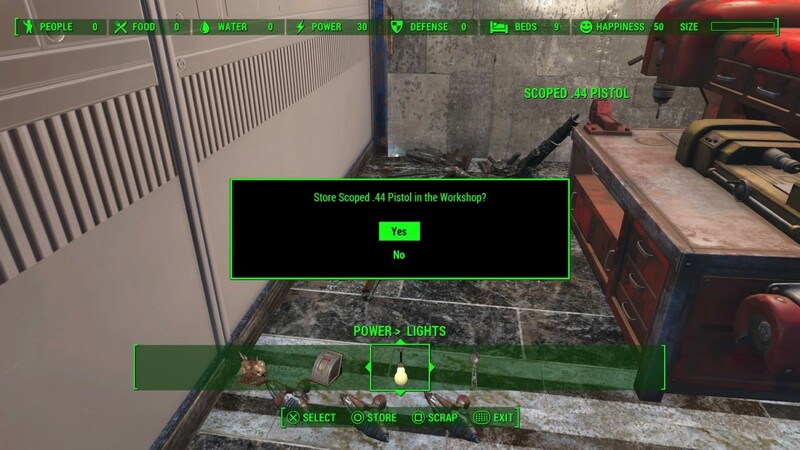 Any settler that doesn’t have an assignment will normally and automatically, start looking for scrap and items of use. So, if you find weird and random stuff in your workshop… that’s why. Each farmer will tend a maximum of six plants each day. Bear this number in mind for two reasons. A) Each settler requires 1 food per day. B) Only Mutfruit produces 1 food per day. Tip: In the beginning, you will obtain five settlers once you continue with your first mission in Concord. Assign three of the people to tend your garden which needs to consist of: 6 Corn, 6 Mutfruit and 6 Tato to start building up your Adhesive resources. Build 6 more Mutfruit plants to feed the settlers and assign a fourth person to that section of your garden. Let the fifth and final member of the group do what he does best, and patrol. You don’t have to assign him… he does it all on his own. Once your water and food resources start to grow with your fledgling population. You might be leveled up enough from all the construction to have the Local Leader level two perk and can now build shops. Also, focus on the Cap Collector perk which will allow you to invest money into shops. When you know which settler you want to run which shop, load them down with the relevant supplies before assigning them to the shop. Settlers sell what they have on them and in order to, "Trade". with a settler running a shop, you have to assign them a different chore like farming, trade and reassign them back to the shop, and that's a pain. Tip: Once you begin taking in settlers, always be sure to leave purified water and food in the workbench. Settlers aren’t smart enough to check the fridge, so keep that in mind. When building your settlements, always bear in mind that your settlers will need health care and it’s up to you to provide it. So, be sure to open a clinic to improve the happiness of the settlement. Entertainment and Health Care are keen attributes towards getting and keeping the people happy. It’s also a great way to provide medicine to the settlement without having to run around passing out Stimpaks and the like. A settler can be assigned to run supplies between settlements. Howbeit, be mindful that the person you assign to this task needs to be armed to the teeth as they are just as vulnerable to attack as you are. If you lose a supply line, check out the path between the two assigned settlements. It’s very likely the person you chose is either dead or pinned down by some Raiders. Either way, check the routes often to keep the Caravan Settler’s path safe. 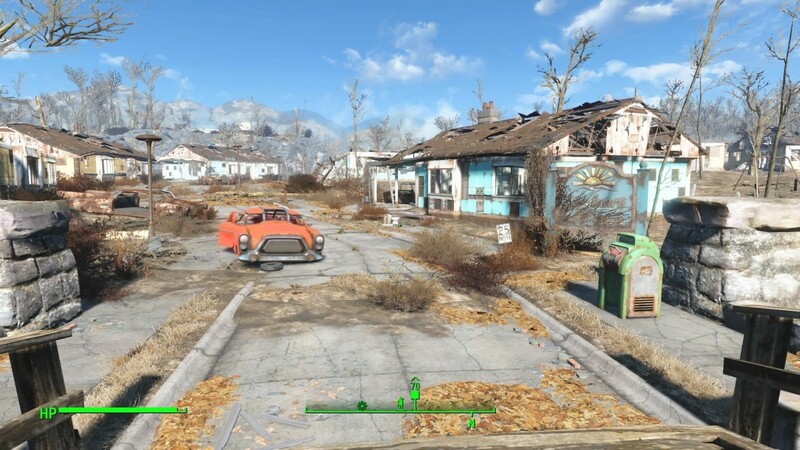 Fallout 4: For more tips and tricks on Setters, use this link! Build your kingdom starting with the Fallout 4: Settlement Building Guide followed by this guide to your Kingdom's inhabitants, Settlers. They are so much more than you might expect in a game. Fallout 4: Defense and how it works! Some settlers will automatically take to patrolling while others will have to be assigned to guard posts. Fact is, with Guard Posts, you won’t get points for its defensive rating without assigning a settler, so keep that in mind. For every point of resource you have, you should provide the exact same amount in Defense. For example, if you have 100 Water and 100 Food then, that means you have to have 200 Defense in order to retain your resources from very clever and sneaky thieves. In the beginning, and without MODs, this is perhaps one of the most frustrating things to accomplish in the game. No worries however... until you can get your defenses up to par, you'll still get resources...minus whatever was stolen out from you. The closer you get to matching defenses with resources, the more resources you will find in your Workshop. Until then, expect to come up short on what you actually have going. I have noticed that with zero defenses, a Purified Water of 80 actually shows up as 56 bottles roughly in the Workshop. 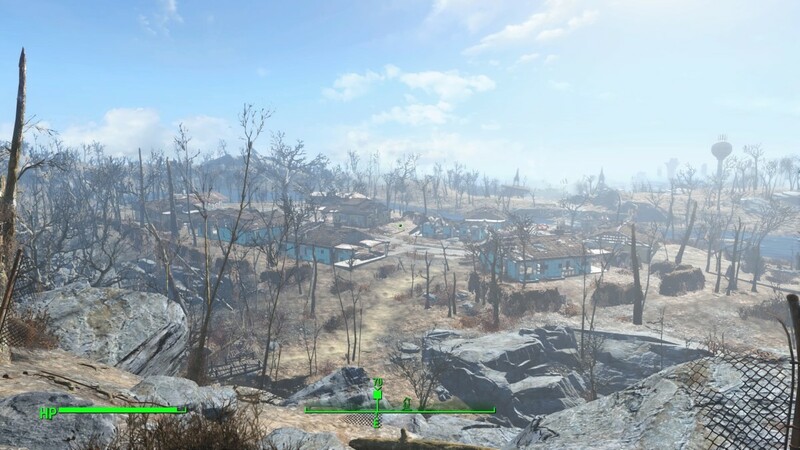 Guarding your settlements is one of the most important aspects in the game. 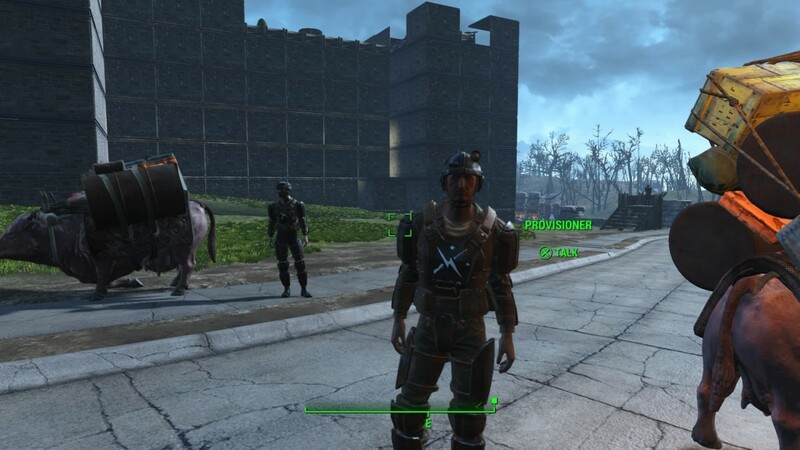 Fallout 4 Guards are very important for protecting your settlements across the Commonwealth. Here, you will find everything you need to know about the importance of having them. This article will be updated frequently to include all new discoveries for getting even more enjoyment out of the game. If you would like to share your tips and tricks, please feel free to leave a comment and check back often. With that said, A very-super special thank you goes to you...the reader. Above all else, have fun exploring what seems like endless possibilities. Thank you goes to everyone for their tips that culminated into this article. I would thank each of you individually but the list is vast. Hence, my reason for writing this. Everything listed here comes from roughly thirty or more different sources mixed with my own notes on the game. Still, thank you all. This was written without Bethesda’s permission or acknowledgement. 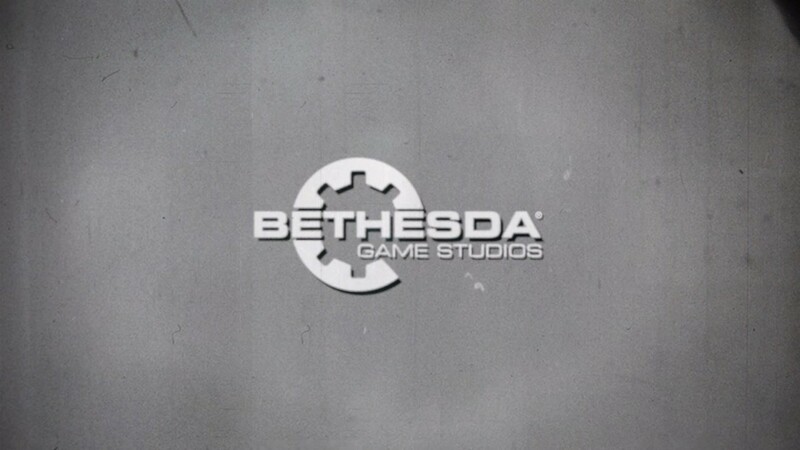 However, a very super-special thank you goes to the men and women at Bethesda for making this one very incredible game. The graphics are very realistic, the story is gripping from the get-go with the perfect blend of genres: Action, Adventure and RPG…but you even went one further and added Simulation and RTS. Awesome! Once again, thank you goes to the guys and gals working on mods for the game. Some mods are cheats by definition but the mods that simply open up new objects for building or adds additional settlements, really opens up even more possibilities while eliminating certain headaches, like the leaky houses in Sanctuary post-war. Having to building a shelter over each house was a pain and at times, ineffective for sleeping in a dry bed. Fallout 4: Ballistic Weapons Guide including Stats for each kind! This guide covers all the Ballistic Weapons in Fallout 4 including tips, tricks and comparisons to help you find the right Ballistic Weapon for your character. Think of settlers as an extension of your character. We’ve all wished we could be in two places at one time and with Settlers, you can… to a certain extent. Use these tips to maximize your settler’s productivity. A) You can cloth and arm your settlers any way you want. 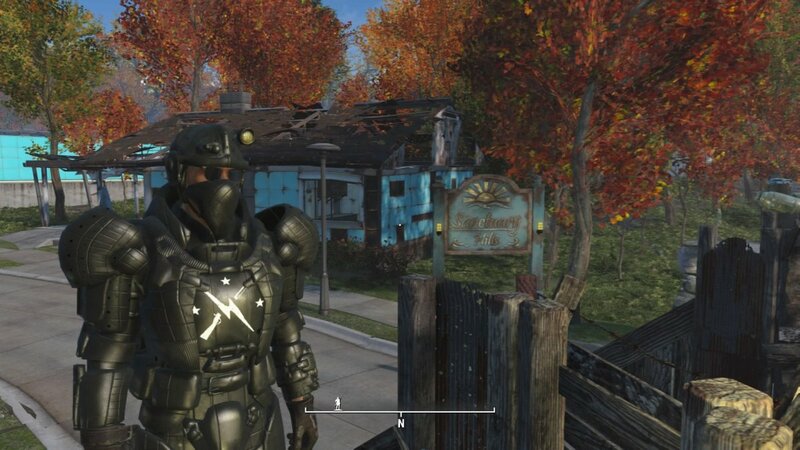 Just like dressing and arming your character, you can change the weapons and armor/clothing of any settler. B) Use the best armor and weapons you can make at the Armor and Weapons workbenches for the security and settlers assigned to run caravan routes. This especially includes upgraded weaponry and armor. C) All defense weapons you can build such as the machine gun turret, has a fixed range…sort of. Trees and other obstructions will obviously interfere with range. However, connect a terminal to your electricity and any wired defense weapons will list their range which is usually about as far as any really good sniper rifle. Also, turrets actually cover 360 degrees although they simply idle back and forth when not in use. So, don’t stress which way their facing as much as what’s in the way of where they need to protect. 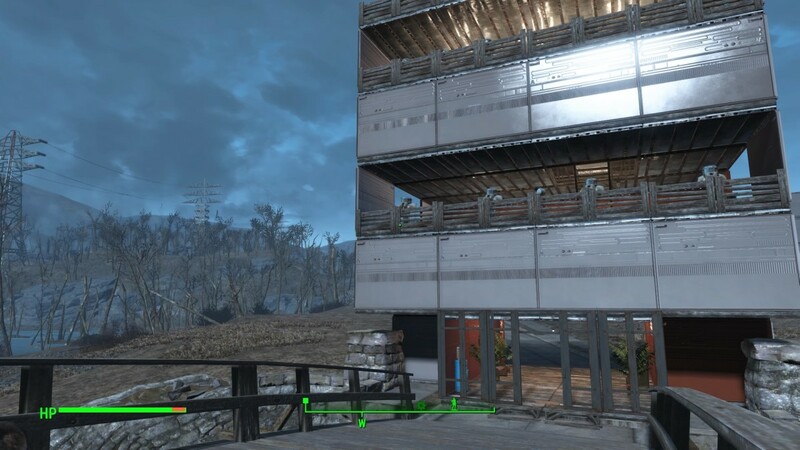 Rumor has it that turrets located at on the third floor of a guard past by the main bridge will actually kill any Raiders coming up the road down by the Red Rocket gas station. D) Settlers can be moved from one settlement to another simply by highlighting them in Build Mode and giving them the order to transfer. 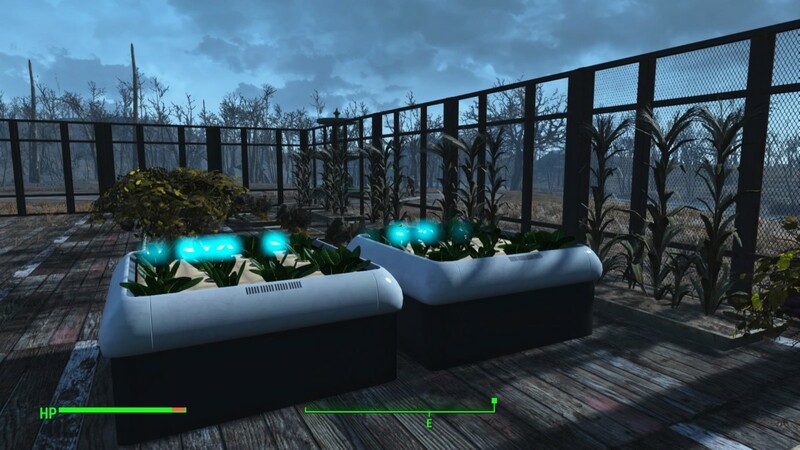 This is handy when you have a farmer in Sanctuary and don’t need one that you could really use at Abernathy Farms. The same goes for doctors and other specialists. E) Clothing with special perk and armor effects work the same way on settlers as they do you. That’s good to know when dressing your characters for particular assignments. F) Always spend time at each settlement you have, when possible. Just being in the settlement makes the locals happier. Also, talk to the settlers. Fulfilling special requests by the settlers helps with the Happy Meter, as well. 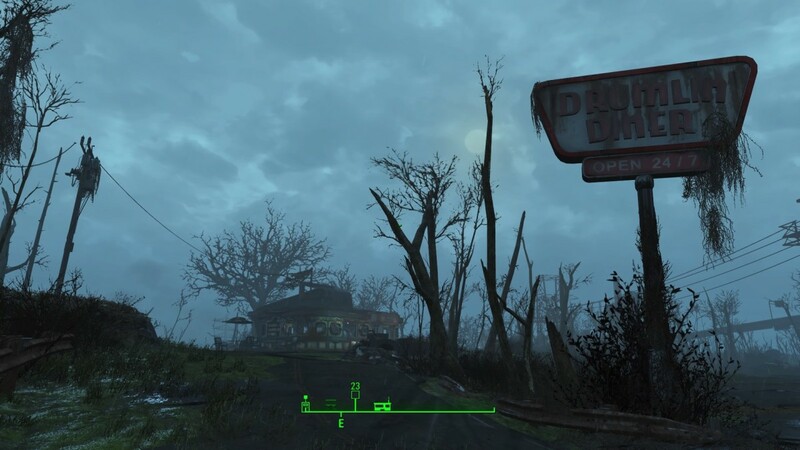 G) Fast travel is awesome when you’re bouncing back and forth between Trudy at Drumlin Diner and your settlement. However, once you start exploring, try to avoid fast traveling and grab everything that isn’t nailed down. Even crossing the same path can yield different results. Case and point, the first time I reached the diner, I got killed. On my second attempt to make it in one piece, I ran into this really cool dude from the Steel Brotherhood who gave me an invite to swing by his garage. So, walk, walk, walk…everywhere. H) Avoid randomness. Completing mission before it’s actually assigned will cost more than just lost experience. So, practice patience and stick to one mission at a time. Same goes when talking to your settlers. If you strike up a conversation with one and they give you a quest, finish the quest before taking on another one or settlers will get grumpy and you’ll lose happiness. Finish what you start or avoid communicating with settlers until you do. I) VERY IMPORTANT! Please Read. Your settler population is determined by the base amount of ten settlers plus an additional settler for each star you have in Charisma. So, if you have ten settlers base and six stars of Charisma, then your max population for any settlement will be, sixteen with the max settler cap of twenty. J) Even if you assign a settler to run a route, that settler still counts towards your population cap in the town where the mailman originates. K) ALWAYS be generous with you settlers. Weapons and armor are great but you can give them food, water and all kinds of presents. As it stands, I’m not sure if this affects the Happy Meter but just like companions, Settlers will use what’s available to them. L) If you have a settler to spare in your settlement, assign him or her to repairs. You might have to shoot one of your turrets to set this up but that settler will repair everything as needed so you don’t have to. M) Listen to settlers even when you’re not talking directly with them. Settlers love to share Commonwealth secrets and useful tidbits amongst themselves. So, eavesdropping is totally acceptable and highly recommended. O) My co-author and niece, Shi-Ann, was having trouble getting settlers to move in. My initial response wasn’t inaccurate. However, I did find a cool solution to the problem thanks to Sammi’s idea. After building your Recruitment Beacon, tune in and listen. If you listen to the local beacon every so often, (to be determined but usually once a day), a new settler or two will arrive. Hey T... Great question. Dogmeat could carry more water for you to sell to Trudy. However, with the right carry-weight boosting armor and the Lone Traveler Perk, you will be able to buy everything you'll need in a single trip without having to chase him down. Not to mention, when you first go, you will want to settle the dispute between Trudy and Wolfgang. Doing so will have Wolfgang and his partner acting as guards for Trudy which means you won't have to fight raiders randomly at the Diner. Taking Dogmeat might interfere with the outcome and lead to a gunfight. Lone wanderer applies even when travling with dogmeat. So going to the station first and loading him down ups your profit more right?